Welcome to the Stampin' Buds Team Blog Hop, this month we are featuring creations from the Close to My Heart White Pines paper collection. If you have come from Tina's blog then you are hopping in the right direction. I just love the masculine birthday card that Tina created. Isn't it wonderful how versatile our paper is? The urban paper fits this card perfectly. It is simple yet stunning! 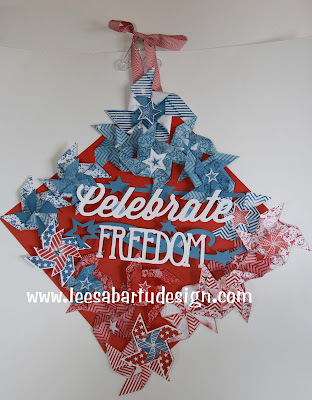 I have used the beautiful Close to My Heart White Pines paper for my creation this month. I am a Christmas junkie and can never get enough of Christmas. 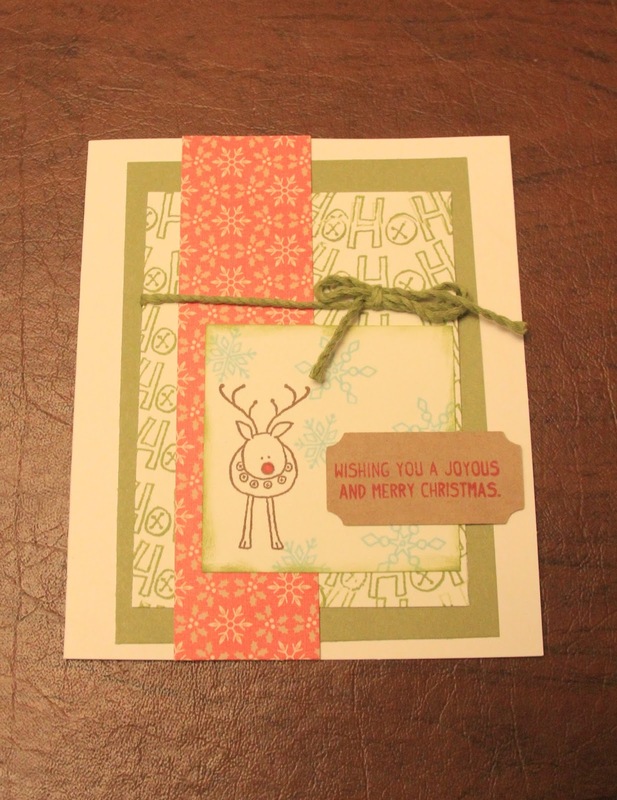 I used the Reindeer Bells Stamp set along with our new fern paper, twine and ink. 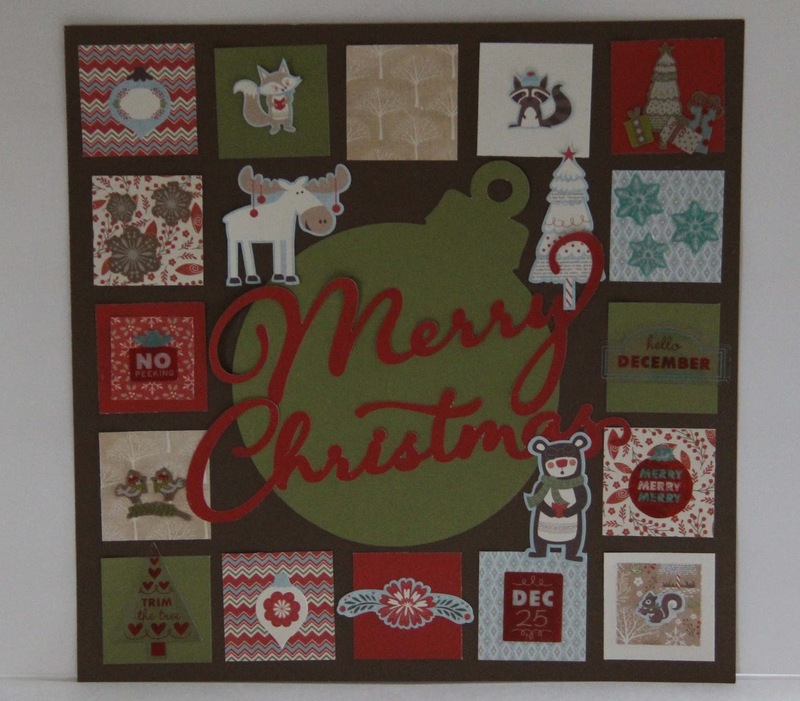 The background is also stamped with the reindeer bells stamp. 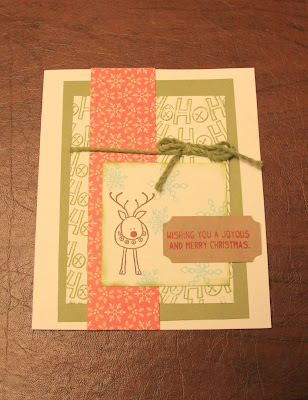 Below are the cards I made with our Workshop on the Go White Pines Cardmaking set. These were so easy and all pre-designed to look fabulous. 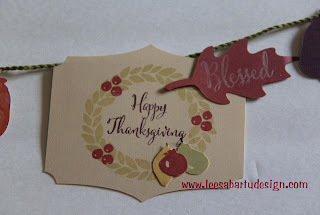 Your next stop on the Stampin' Buds Blog Hop is . 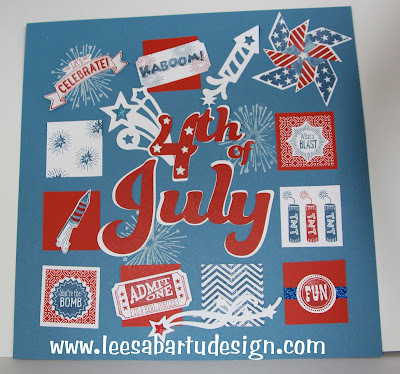 She made some great page layouts with the kaleidoscope paper pack. Check them out! If you have come from Tina's blog then you are hopping in the right direction. I just love the embellishments that Tina used and I haven't gotten to play with the Urban paper pack yet but her use of the versatile papers is wonderful. 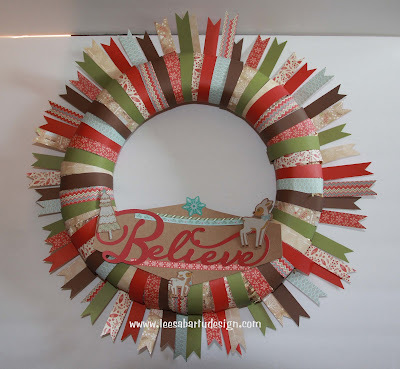 What a fun holiday wreath! This was very simple and came together quickly. I just cut 3/4" x 12 strips from the 3 printed papers included in the White Pines paper pack along with the other cardstock included. The papers are chocolate, fern and cranberry and are included in the White Pines paper pack. I dove-tailed the ends of each 3/4" strip and then wrapped them around a straw wreath form I picked up at my local craft store. I overlapped the papers as I wrapped them around the wreath and put a dot of adhesive on the point the paper meets on the backside of the wreath..
A few simple Cricut cuts from Close to My Heart Cartridges Artistry and Artbooking and some stickers from the White Pines Compliments made the perfect accents on this wreath. 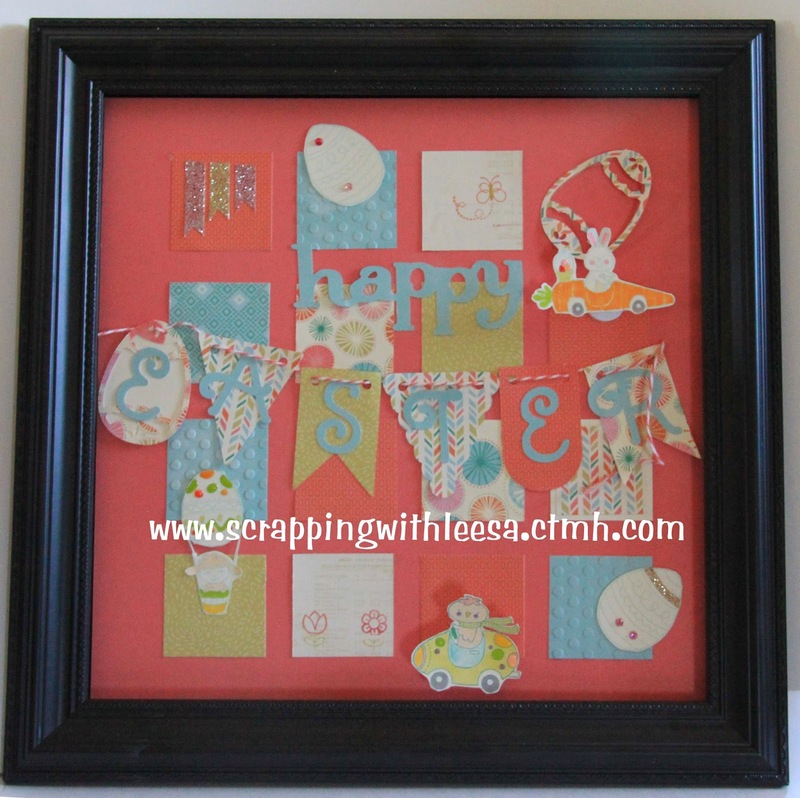 check out her adorable scrapbook pages that she made with the White Pines paper pack! Lori does some fantastic work! 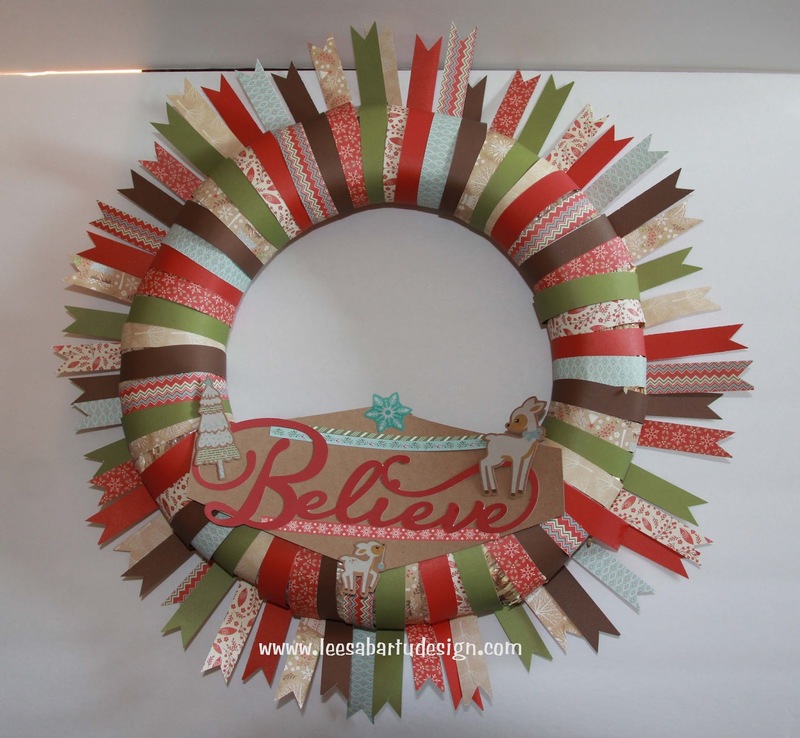 Who wouldn't want to create this easy wreath to display for the holidays. The addition of the muted brown, red and green colors of the beautiful Close to My Heart White Pines papers make this piece a beautiful addition to your Christmas decor. And it's SO easy to make! 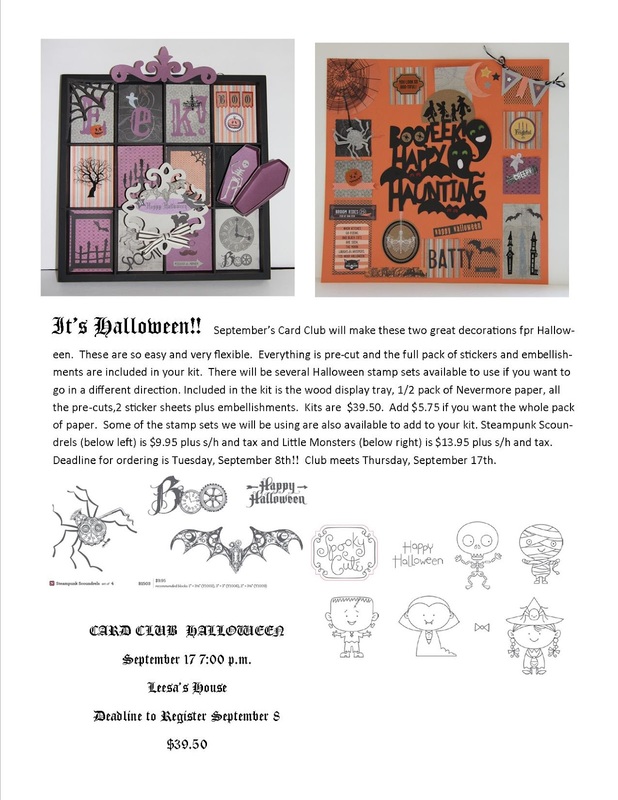 This card club meeting will be November 20th at 7 p.m. and will include the wreath, the four box cards and the Sampler. If you aren't local feel free to purchase the kit and I will ship it pre-cut to you. You will want to include a few ink colors as well. Welcome to the Stampin' Buds Team Blog Hop, this month we are featuring creations from the Sangria paper collection. 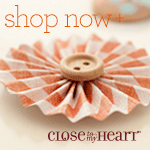 If you have come from Tina's blog then you are hopping in the right direction. I just love the embellishments that Tina used on her Blessed card - I can't get enough of the Close to My Heart glitter tape!!! 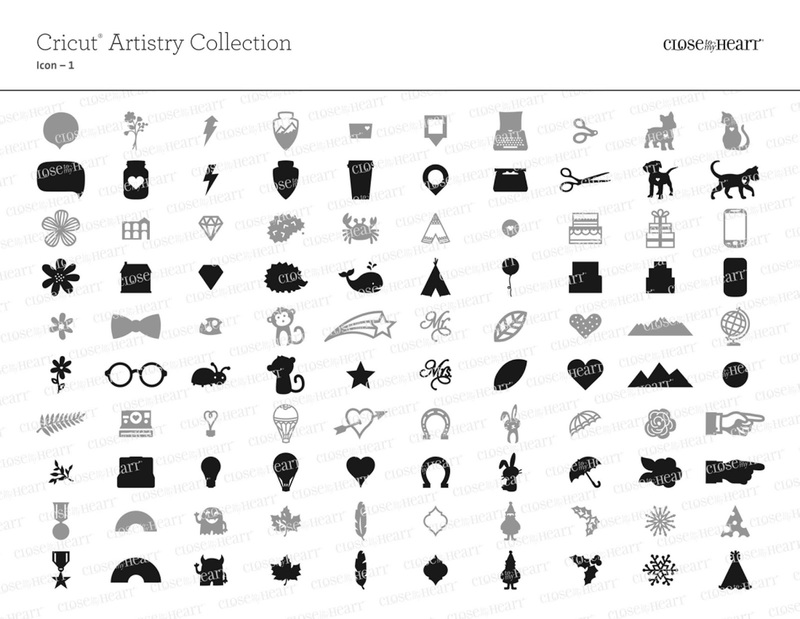 All of these cuts are from our fantastic Close to My Heart exclusive Cricut Cartridges. It was so easy to cut these items and then just attach them with some liquid glass to some of our Fern colored thick twine. A bow on either end of the twine just finishes off the simple decorations. I love that I stamped the pomegranate image in pomegranate ink!! The Blessed stamp is part of the harvest wreath set (D1662) and I stamped it in white to give it a subtle look. This swag would look cute in a doorway or even hung from a shelf or a chandelier in the dining room and with our Close to My Heart exclusive Cricut Cartridges you could make a simple swag like this for any holiday or celebration. 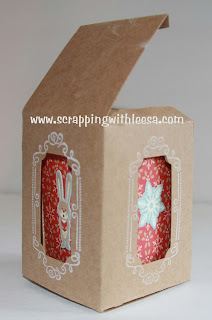 If you love the Sangria paper as much as I do check out what else I made with the paper packet in the post below! I love the way that Lori used the pink enamel gems - see if you can find them on her very special card. October Card Club - It's FALL! Cricut Explore Giveaway!!!! New CTMH Artistry Cartridge is now available! 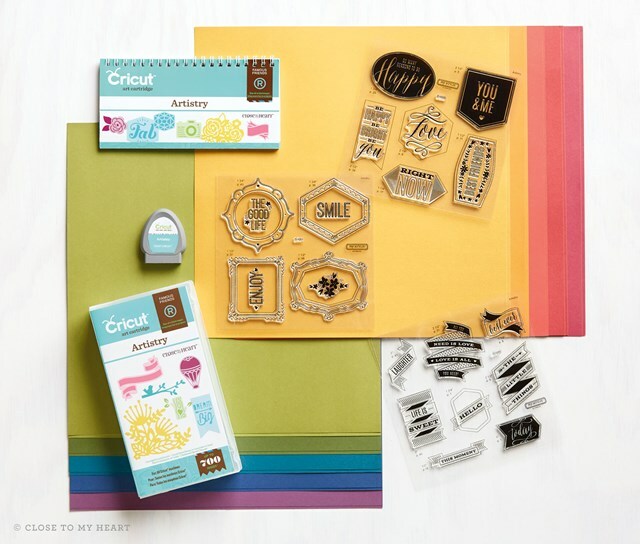 The brand new Close to My Heart Cricut Cartridge Artistry has arrived. This cartridge bundle is jam packed with over 700 images. Did you know most regular cartridges from Cricut only have about 200 images so it is like you are getting 3 cartridges in 1!!!! In addition to the three large coordinating stamp sets you will also receive a paper packet as part of the bundle. Click here to go right to the page to buy the cartridge but don't forget to join my Explore Giveaway party. But maybe you don't have a Cricut :( Well - here is an opportunity for you to win a FREE Cricut Explore!!! 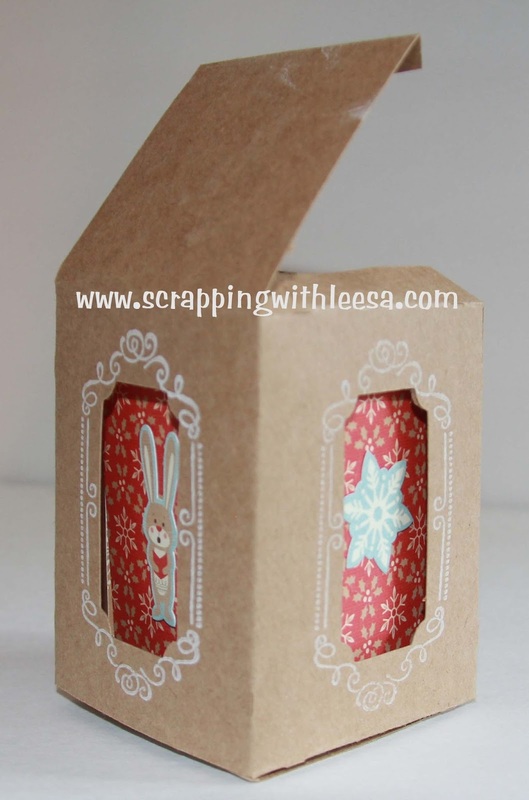 After 10 customers purchase a Close to My Heart Cricut Cartridge from my shopping website at www.scrappingwithleesa.ctmh.com I will be GIVING AWAY a brand new Cricut Explore!! In order to qualify for the drawing you MUST purchase the cartridge by August 30th and you must purchase it on my website under the Explore Giveaway party. 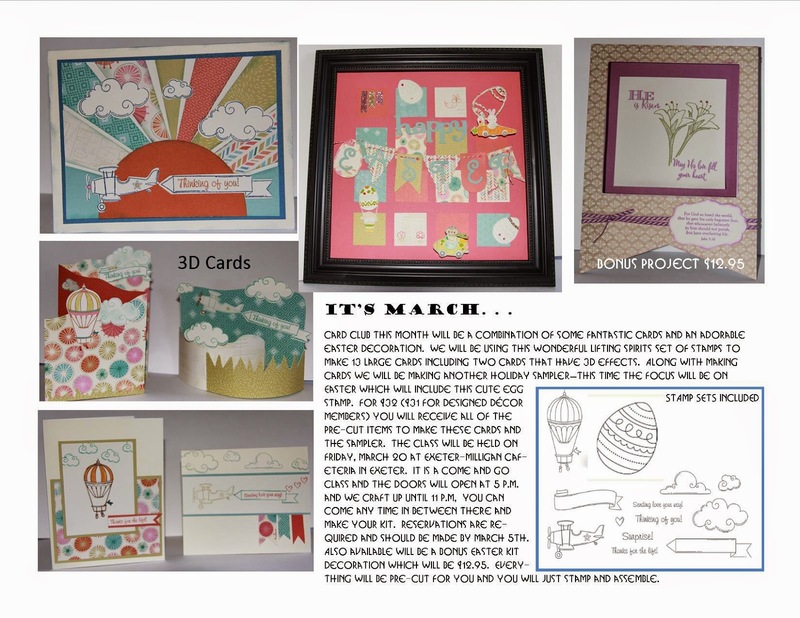 If you purchase more than one Close To My Heart Cricut Cartridge through my Explore Giveaway Party you will get an entry in the drawing for EACH cartridge you purchase!!!! This cartridge is compatible with all Cricut machines so you could easily upgrade. Shipping will also be free. August Card Club: Getting Organized! How about organizing your cards to start with? Make one of these cute card organizers at my Aug. 6th card club. The small organizers includes 6 divider tabs while the large organizer comes with 12 divider tabs. 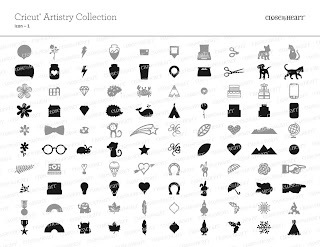 As a bonus, both of the organizers will hold the Close To My Heart Stamp sets! Small organizer is $20.50 and the large is $32.75. Order one of these organizers from my website at www.scrappingwithleesa.ctmh.com and I will send you the embellishments for just $10 (title will be pre-stamped). Fun for all with the bokeh technique. 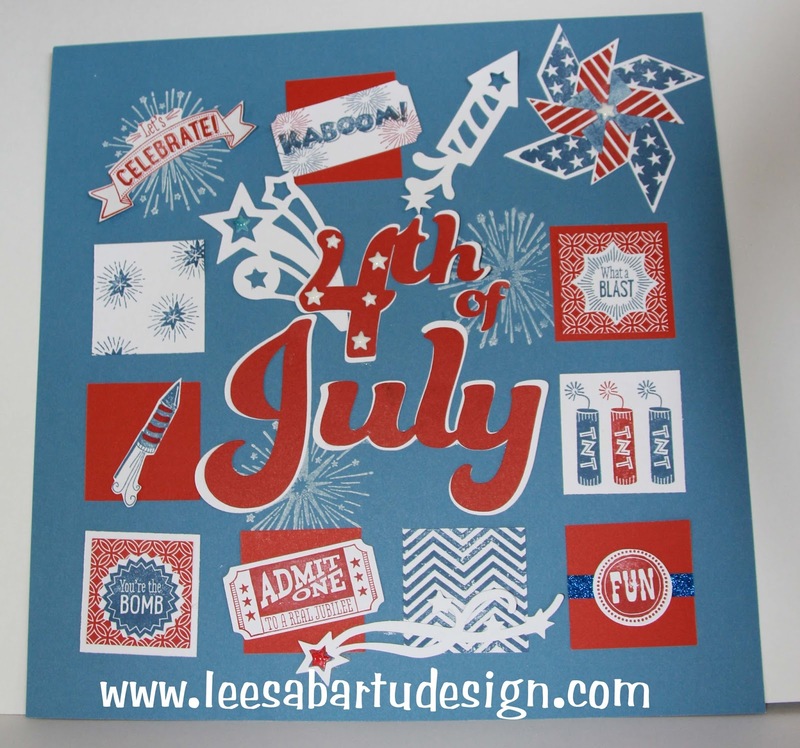 July's card club will be having oodles of fun learning this great technique. Kit includes a stamp set of your choice (get your favorite before it retires! ), along with a sponge, a set of three sponge daubers, a white daisy ink pad, 14 card bases with envelopes and a set of four shaped templates (circles, hearts, stars and hexagons). 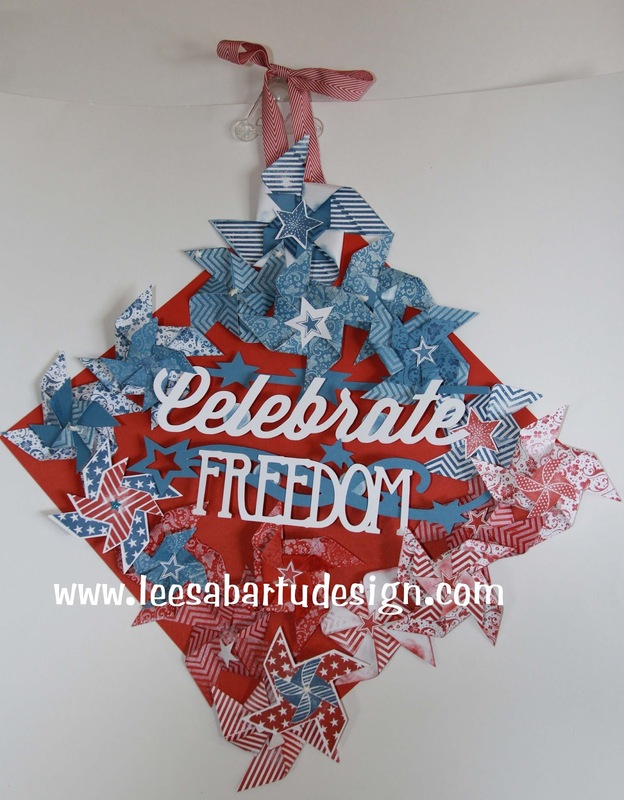 These fun pieces were part of my May card club and were made just in time to display for Memorial Day and the Fourth of July. Kit is $36 (plus shipping) and includes 1 background stamp set ($17.95 value) and all of the supplies to make both of the decorations. Some items will be pre-stamped. March Card Club will be on March 20th at the Exeter-Milligan School. It will be an open scrapbook crop and card club night. Feel free to bring other kits that you need to finish up! If you are coming to scrapbook, bring a snack to share. If you want to participate in the card club, reservations need to be made by March 5th. Don't forget about the bonus project - it will be a great Easter decoration, as well.